This is a project of beginner level of difficulty. We are sure that it will whet your appetite for more fun with other Wooden.City puzzles! 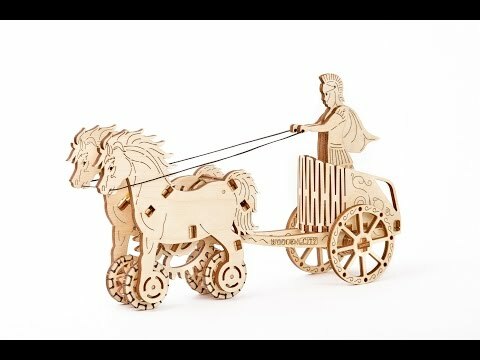 All you need to assemble this historically accurate model with a rubber band engine is included in the box: detailed step-by-step instructions, a set of high quality plywood boards with precisely pre-cutout parts and other details. The explanations of assembly stages are intuitive and easy to follow. The only tools required are your own hands, time and some patience.